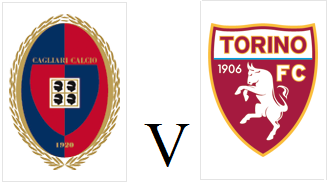 Torino will make the trip to Sardinia to face Cagliari on Monday evening without their coach Walter Mazzarri. Mazzarri fell unwell on Friday evening and went to hospital, and whilst he quickly recovered, it was decided he would not return to work until further tests have been completed. Tomas Rincon will also miss out due to suspension, with Sasa Lukic expected to deputise and Cristian Ansaldi could replace Ola Aina who picked up a slight knock on international duty. Cagliari are currently unbeaten at home this season, winning their last two fixtures against Bologna and Chievo. However, Toro did record an impressive 4-0 victory when they played earlier this year in March.